We’re a team of IT infrastructure specialists with decades of experience in the industry, and we’ve been proud to provide customers with best-in-class data centre services since 2007. Established in 2007, TeleData has been providing clients with high-quality colocation, server hosting, workplace recovery and data centre services for over a decade. Our Team are experienced, approachable, responsive and committed to delivering the best possible service to our clients. 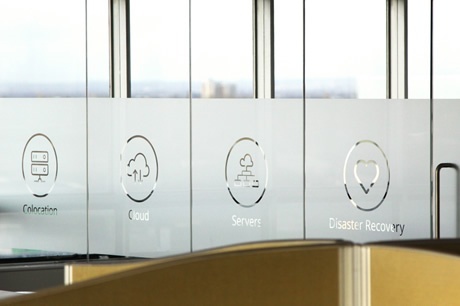 We deliver our services from our own ISO27001 Manchester data centre, Delta House – one of the most secure, resilient and well-connected data centres in the UK and Europe. We’ve invested over £1 million in our Security and Operations Control Centre alone - meaning our data centre is the only one in the world with NSI Gold Approved BS5979 security centre on-site. "I haven't met anyone better to deal with than Teledata. Flexible, reasonable, accommodating. Complex administrative documentation made easy." Teledata’s data centre is independently owned and run by a team of experts, and our approach is client-centric, transparent, and focused on delivering a level of service and support unparalleled by any other provider in the North West. Our site is also manned by a fleet of SIA-approved security personnel who are on site 24 hours a day, so you can expect a level of security to satisfy even the most demanding firms. Over the years, we’ve worked in close partnership with businesses across a wide range of sectors to help them achieve their strategic IT objectives. Our security, resilience and range of services have been a vital asset to some of the biggest names in the UK digital economy, including ISPs, ecommerce firms and software developers, and also a number of professional services firms. We pride ourselves on a zero-debt policy, and operate on a strong financial foundation backed by secure revenue streams from a diverse client base. This allows us to offer exceptional services at affordable prices to customers who never have to worry about us disappearing overnight. Want to meet us in person and see our data centre in action? 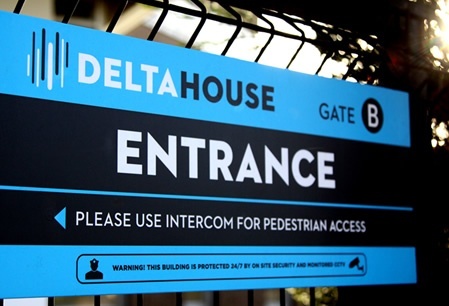 Get in touch to arrange your own tour of Delta House.